There are so many wide open spaces and unusual places scattered across Arizona, the nation's sixth largest state. Metro Phoenix, with more than 3 million people, Tucson, Flagstaff, Sedona and Grand Canyon get all the attention. But longtime Arizonans who explore the back roads know there are lots of funky towns and place names dotting the Arizona map. We have Nothing, Why and Surprise. 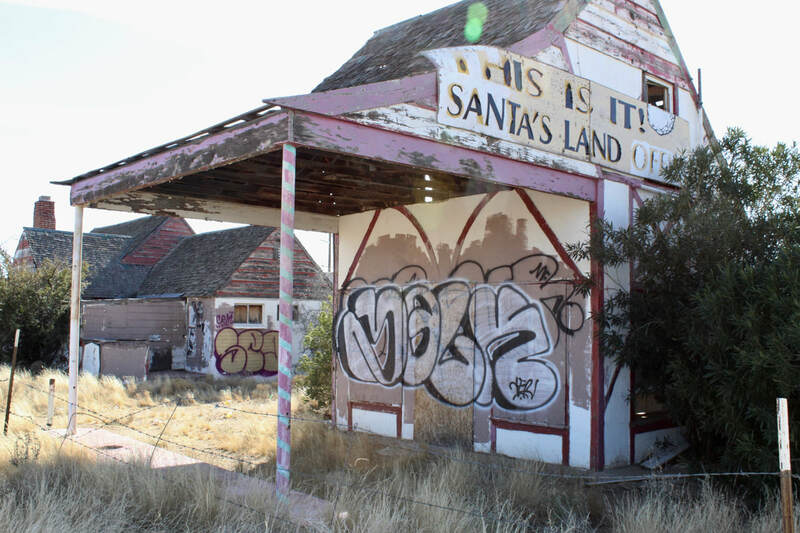 Arizonans believe in a place called Santa Claus, even thought it's all but disappeared along U.S. 93 north of Kingman. Christmas was a mining town near Winkelman that faded after the 1930s. It's post office stamped a lot of holiday mail with its postmark. Valentine, on Route 66 east of Kingman, was also popular for its postmark. Travel around Maricopa County and sooner or later you'll see El Mirage. It's really there, down the street from Surprise. Our old West roots are showing in Two Guns, Twin Arrows, Tombstone, Wikieup and Show Low, a town named after a gambling-hall card game. Arizona pioneers apparently were big on dessert in the desert. We have Strawberry, Cherry, Peach Springs, Punkin Center and Dateland. Pie anyone? ​And for good measure, Arizona places include Bumblebee, Bagdad, Congress, Cornville, Crown King, Oatman, Three Way, Teec Nos Pos and Tuba City. Ahhh, it's all music to my ears. 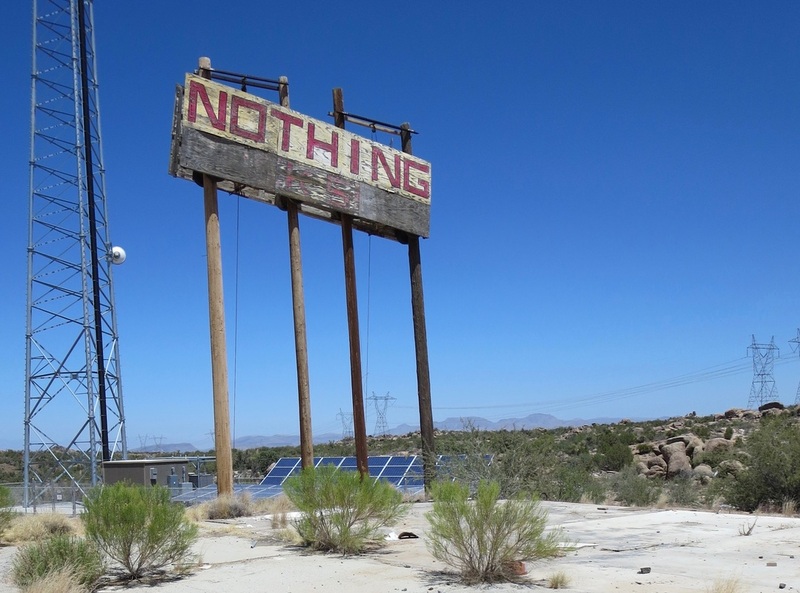 "Drive past Nothing to get to El Mirage"
Nothing -- Fittingly there isn't much in this empty spot along U.S. 93 northwest of Wickenburg except a tall sign and some road ruins. Why -- I grew up hearing the song "why, oh why, oh why, oh -- why did i ever leave Ohio?" Then I got to Arizona and pondered why anyone would name a town Why. Just because. Surprise -- There's a new big city that popped up in metro Phoenix near Sun City and right down the road from El Mirage, which really does exist. Tombstone -- This name epitomizes the Wild West and its outlaws. The legend is that town founder Ed Schieffelin was prospecting for gold and silver in 1877. He was warned that with Apaches in the Arizona territory he was only going to find his own tombstone. Congress -- This is another old mining town near Wickenburg. As a friend says, it's a nice place but nothing gets done in Congress. Nothing used to have a market but the "town" has been abandoned for years. It's basically nothing except for a sign that attracts curious motorists. ​Flagstaff -- This poetic name, according to legend, comes from the Boston colonists who arrived at the San Francisco Peaks on July 4, 1876, cut off the branches of a tall pine and flew the American flag. Tuba City -- It's sounds musical but in reality it's a bastardized pronunciation of Tuvi, a Hopi leader's name. Mormon apostle Erastus Snow named this town, now on the Navajo reservation, Tuba or Toova City, according to historian Marshall Trimble. Teec Nos Pas -- This is a Navajo town of 700 near Four Corners. In Navajo, the name translates as a "circle of cottonwoods." It also describes a style of Navajo weaving. Valentine -- This is a sweet spot on Route 66 near Hackberry and east of Kingman. Valentine's tiny post office used to postmark a lot of cards and letters at Valentine's Day but it closed in 1990. Now the Kingman post office provides that service using the old Valentine's postmark and a heart-shaped cancelation stamp. Santa Claus -- This place north of Kingman is a failed development that has all but disappeared. Apparently, the locals did not leave out enough milk and cookies. Christmas -- This mining ghost town is south of Globe and close to Winkelman. The disputed original mining claim is linked to the holiday. Two Guns -- Not much left here either. But this town had a zoo at one time among its roadside attractions on Route 66 east of Flagstaff. 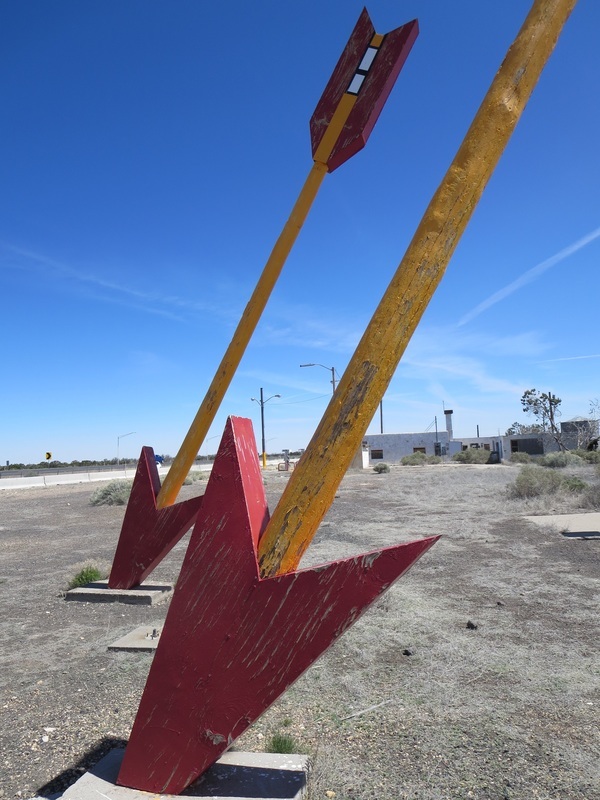 It's sister town of Twin Arrows still has its giant arrows and now a Navajo casino. Three Way -- What happens in Three Way, stays in Three Way. It's near Safford at the junction of US 191, SR 75 and SR 78. Twin Arrows east of Flagstaff has a closed diner and trading post. 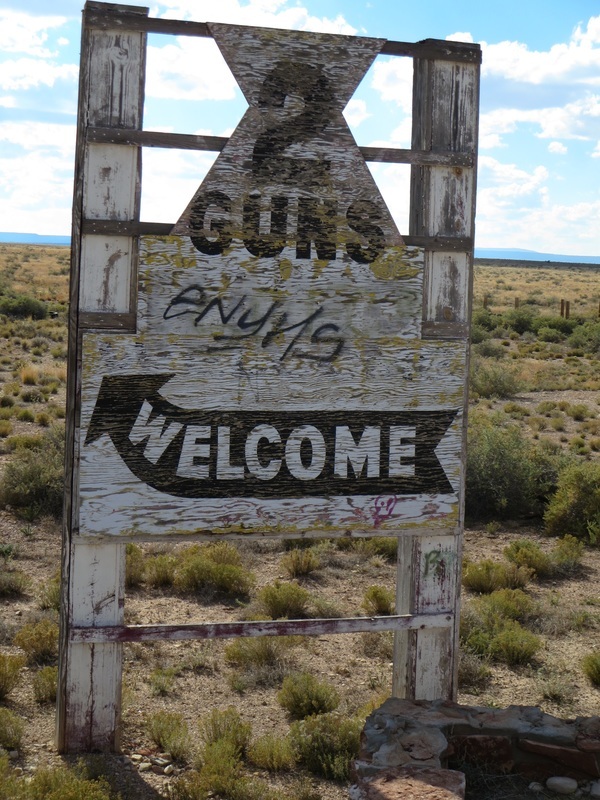 West of Winslow, Two Guns has the ruins of a zoo and a KOA campground. Santa Claus is a failed real estate development on US 93 north of Kingman. Santa Claus roadside stop is still for sale. Elves not included.